Precious baby Cahrhynn M. Clark was born on March 7, 2018 and went to heaven on August 4, 2018. She was the daughter of Iesha Watts and Joshua Clark. She is survived by her parents, 3 sisters, grandparents, great grandparents, aunt, uncle and cousins. A calling time will be held on Wednesday, August 22nd 1-2Pm with a Memorial Service at 2PM in Downing Funeral Home, Inc. 1002 W. Broad St. Bethlehem, PA 18018. Dennis J. Cogan, 68, passed away March 25, 2018. 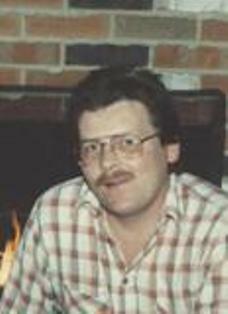 He was the loving husband of 19 years to Carol (Toth) Cogan. Born in Philadelphia, he was the son of the late James J. and Leonora (Dowling) Cogan. Dennis was the owner and operator of Cogan Blue Print in Bethlehem. He was also a school bus driver for many years. He enjoyed golfing and coaching his softball team. Survivors: wife- Carol Cogan; daughter- Anna Marie and husband James C. Romig; grandchildren- Julie, Laural and Jared Romig; brothers- James and Joseph Cogan; sister- Eileen Pinder. He was predeceased by his step-son- Glenn Toth. A viewing will be held on Wednesday April 4th 6-8PM with a Service at 7:30PM in Downing Funeral Home, Inc. 1002 W. Broad St. Bethlehem, PA 18018. Daniel L. Curatola, 98, of Bethlehem, passed away January 29, 2018. Born in Bethlehem, he was the loving husband of the late Angelina A (Delia) Curatola and son of the late Carmelo and Stella (D’Avanzo) Curatola. He served in the US Army, 1st Division, during WWII and received multiple commendations, including a Purple Heart and 3 Bronze Star Medals. He retired from Bethlehem Steel in 1981 and was a member of Notre Dame of Bethlehem Catholic Church. He was a lifelong fan of the New York Yankees and of Lehigh University wrestling and football teams. Survivors: daughter Dorothy Grant and husband Jack, son Daniel B and wife Michelle, 3 grandsons. Private services are in care of Downing Funeral Home, Inc.
Veronica H. (Orlando) Clifford, of Bethlehem, passed away October 8, 2017. She was the loving wife of the late Joseph Clifford. Born in Bethlehem, she was the daughter of Angelo and Marie (Donnelly) Orlando. Her whole life she spent dancing and dreaming of being a “Ballerina.” She grew up dancing for her family and friends, attending musicals and practicing whenever she could. She eventually enrolled in the dance studio in the O’Reilly building on 3rd and New Sts where she danced and eventually took over the School. She worked very hard, even making some of the costumes by hand, but truly loved her job. She then gave birth to her wonderful son- Thomas. She continued to teach and studied with many teachers locally and in NY. Veronica then opened her studio up at 540 N. New St. Bethlehem, Ronnie Clifford School of Dance. She taught over 2,000 children in her over 50 years of teaching. After moving to Lutheran Manor she lived a very active life, being involved with scheduling entertainment and giving line dance lessons. She then moved on to share her life with those at Manor Care 2021 where many old students and friends got together to help celebrate her last big birthday in April. Veronica was a wonderful teacher but her son and family were deeply important to her. She will be sadly missed by many. Survivors: Son- Thomas Clifford, 5 Grandchildren, 5 Great Grandchildren. She was predeceased by her brother- Joseph Orlando and sister-Gladys Heimpel. A viewing will be held Friday 10-11AM with Mass of Christian Burial to follow at 11AM all in Saints Simon and Jude Catholic Church 730 W. Broad St. Bethlehem, PA 18018. Burial to follow in Holy Saviour Cemetery. Arrangements care of Downing Funeral Home, Inc.
Donald E. Cummings II, age 92, former Group Vice President of Air Products and Chemicals Inc., Trexlertown, and management consultant, died Thursday, July 20, 2017, at Moravian Village of Bethlehem. Don was married for 63 years to the late Mary Lou (Hoffman) Cummings. He was devoted to his family, the Catholic Church and Catholic education. Don was a longtime trustee of DeSales University and an active member of St. Stephen’s Parish, Allentown, where he enthusiastically supported the revival of the Traditional Latin Mass. Don had a successful early career with Air Products and Chemicals Inc., joining the company as a sales engineer in 1954. He spent his first years at Air Products in sales and management positions in the Industrial Gas Division before being named Group Vice President. Don presided over the rapid growth of the onsite industrial gases business, leaving the company in 1968 to purchase Easton Car and Construction Company, a heavy equipment manufacturer in Glendon, Pa. After successfully transforming the company and selling it in 1975, Don became an international management consultant to the steel, metallurgical and mining industries. Don was born January 11, 1925 in Aliquippa Pennsylvania, to Donald Earl and Constance (Sieffert) Cummings. His father’s untimely death at age 35 left the young family struggling during the Great Depression. Don excelled in school and upon graduation from Aliquippa High School in 1942 was selected to participate in the Navy V-12 College Training Program. In 1946 he earned a B.S. degree in Naval Science and Mechanical Engineering from Yale University. Don worked as an engineer for Jones and Laughlin Steel Company in Aliquippa until he was recalled to active military duty during the Korean Conflict. There he served as a Navy Lieutenant, surviving the tragic sinking of the USS Hobson in 1952. In 1953 Don married Mary Lou and began a family that happily included seven children. In 1961 Don received his M.B.A. degree from Lehigh University and completed the Advanced Management Program at Harvard Business School. Don was the recipient of many awards and honors including the Yale Medal honoring outstanding service to Yale University and an honorary Doctor of Humanities degree from DeSales University. Don was a founding member of the Eastern Pennsylvania chapter of the Yale Alumni Club where he took great pleasure in recruiting young men and women to his alma mater. Don greatly enjoyed the outdoors and shared this love with his children and grandchildren, frequently at the family’s 100-acre farm in Lenhartsville, Pa. A great many life lessons were learned by his children and grandchildren at the beloved farm. Don was preceded in death by his cherished wife Mary Lou and brother Jack of Swansboro, N.C. Survivors include brother William of Albuquerque, NM and sister Constance (Cummings) Millman of Hopewell Township, Pa.; sons Donald III of Fredericksburg, Va.; Christopher of Bethlehem, Michael (Allison) of Meridian, Miss. and Matthew (Susan) of Wyncote, Pa.; daughters Linda Cummings of New York, N.Y., Pamela Cummings of Harrisburg, Pa. and Becca Wynsome of Seattle, Wash.; grandchildren Catherine Mae, Ian Matthew, Stella Me’me and Harrison Rayne, as well as numerous nieces and nephews. A funeral Mass will be celebrated at 10:00 a.m. on Thursday, July 27, 2017, at St. Stephen’s Catholic Church, Allentown, Pa. Friends may call on Wednesday from 6:00 to 8:00 p.m. at Downing Funeral Home, Bethlehem. Interment beside his dearest Mary Lou at Holy Saviour Cemetery, Bethlehem. Memorials may be made to St. Stephen of Hungary Catholic Church or the charity of your choice. 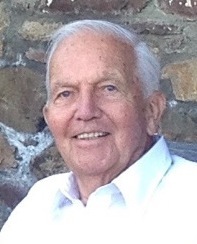 Richard J. Cabuski, Sr., 88 of Bethlehem, passed away March 4, 2017 in Florida. He was the loving husband of the late Delores (Wischner) Cabuski. Born in Bethlehem, he was the son of the late John W. Salasky and Elizabeth (Devlin) Salasky. Richard served in the U.S. Army during the Korean War. He previously worked for Bee Inc. He retired from the former Bell & AT&T after many years of service. Richard was a member of St. Anne's Catholic Church of Bethlehem. He enjoyed boating, camping, playing cards, and reading. Richard belonged to the Keystone Winnies and was a longtime and past member of the Bethlehem Boat Club. Survivors: Children- Richard Jr of Lakeland, FL, Randy and wife Heike of Bethlehem, Gail Cabuski-Sheek of Bethlehem; Granddaughter- Stephanie Rader of Florida; Many Nieces and Nephews. He was predeceased by his brothers- John G. Salasky and Robert J. Salasky. Services: A calling time will be held on Sunday March 26 6-8PM and on Monday March 27 9-10AM with a service to follow at 10AM all in Downing Funeral Home, Inc. 1002 W. Broad St. Bethlehem, PA 18018. Burial to follow in Cedar Hill Memorial Park. Contributions: In lieu of flowers, donations can be made in Richard's memory to Good Shepherd Hospice 3470 Lakeland Hills Boulevard Lakeland, Florida 33805. Dennis J Cox, 74, of Allentown, passed away Monday morning, May 9, 2016. Born in Newark, New Jersey, he was the son of the late James Cox and Alice (Sheehan) Cox. Dennis was a veteran of the U.S. Navy. Throughout the years Dennis worked as an industrial salesman. In his spare time he enjoyed cooking, golfing and spending time with his children. He was a loving father and grandfather. Children- Craig Cox of Allentown, Todd Cox of Catasauqua, Tracey Thatcher of Saucon Valley, Ashley Valletta and husband Arthur of Northampton; Grandchildren- Jacob, Shawn, Chloe and Sheehan; Brothers- John Cox and wife Cathy of Trexlertown, Gavin Cox and Shannon Cox both of Toms River, NJ. He was predeceased by his brother- Craig Cox. A viewing will be held Thursday 10-11AM with a Service at 11AM in Downing Funeral Home, Inc. 1002 W. Broad St. Bethlehem, PA 18018. Burial to follow in Nisky Hill Cemetery. 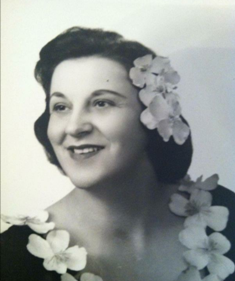 Mary Lou Cummings, 88, of Bethlehem and Lenhartsville Pennsylvania, passed away peacefully on Thursday May 5, 2016 at Moravian Village of Bethlehem. Mary Lou was a member of Rosemont Lutheran Church in Bethlehem until recently becoming a Catholic. She was the daughter of William George Hoffman and Mary (McNamara) Hoffman of Pittsburgh, Pa. After graduating from Langley High School in Pittsburgh, Mary Lou traveled to California to work as a draftswoman in the aerospace industry and later pursued an interest in fashion modeling. Mary Lou was married to Donald in 1953 and lovingly devoted herself to her growing family. Despite the responsibilities of caring for a family which grew to include seven children, Mary Lou continued to pursue her love of art and of painting. She was an accomplished watercolorist who studied at Carnegie Mellon University and the Baum School and exhibited widely in galleries, museums and universities. 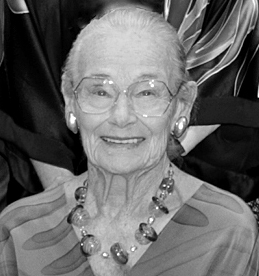 Mary Lou served as president of the Bethlehem Palette Club, was a trustee of the Baum School of Art and a member of the Bethlehem Fine Arts Commission. She was a signature member of the Pennsylvania En Plein Air Society and the Pennsylvania Watercolor Society. After her children were grown Mary Lou attained a lifelong goal by graduating from Moravian College in 1994 with a degree in Art and Political Science. Her love of travel and interest in other cultures eventually led her to visit dozens of countries on six continents. Mary Lou was preceded in death by her brother William Hoffman. She is survived by Donald, her loving husband; daughters Linda of New York, N.Y., Pamela of Harrisburg, Pa., and Rebecca of Seattle, Wash.; sons Donald of Fredericksburg, Va., Christopher of Bethlehem, Michael and wife Allison of Meridian, Miss., and Matthew and wife Susan of Wyncote, Pa. She is also survived by grandchildren Catherine Mae, Ian Matthew, Stella Me'me and Harrison Rayne as well as numerous nieces and nephews. Mary Lou was greatly beloved by Donald, her husband of 63 years, her seven children, their families and all who were touched by her engaging and generous friendship. Her family would like to express special gratitude for the loving and compassionate care given by Sandra Marcellus over the past 3-1/2 years. Memorial services will be held at Ss. Simon and Jude Parish at 10 am Wednesday, May 11. Friends may call on Tuesday from 6:00 to 8:00 PM at Downing Funeral Home, Bethlehem. Interment at Holy Saviour Cemetery, Bethlehem. Memorials in lieu of flowers may be made to the Baum School of Art.